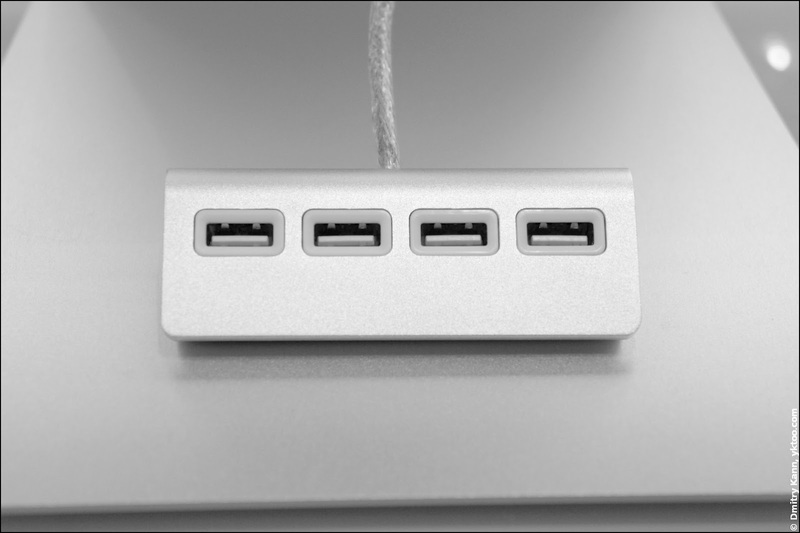 I've been looking for quite a while for a USB hub that would match the design of my iMac. For those who own an iMac a USB hub is a must-have, since Apple have moved all available ports, including even the headphone one, to its back side. Which is in my opinion a typical example of design gone totally wrong. However it had a major downside. Devices that draw considerable power from the USB port, like USB-powered hard drives, would report read-write errors all the time. That's because the power provided by the hub via its thin cable wasn't sufficient for them to operate properly. 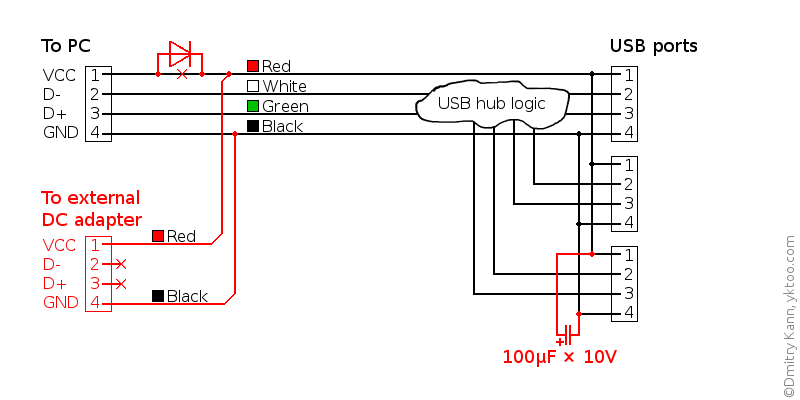 I've spent some time researching a powered USB hub that I had, and discovered that the external power supply is directly connected to the hub's logic, whereas the VCC line from the computer is connected via a diode. This way the hub can operate both in powered or passive mode. The required changes are marked red. 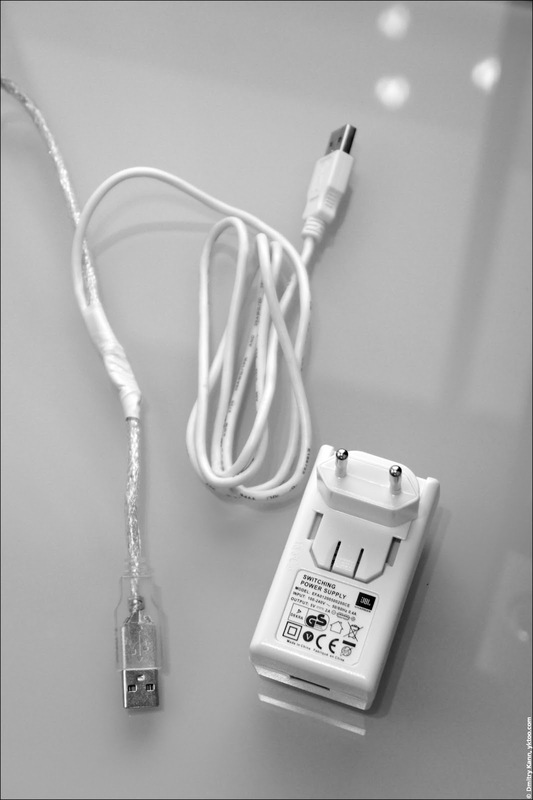 The diode is inserted in the power line connected to the computer; it must be rated at least 2 A. It's a good idea to connect one or two 100 µF electrolytic capacitors at the port (output) side of the hub to smoothen voltage surges caused by external devices. 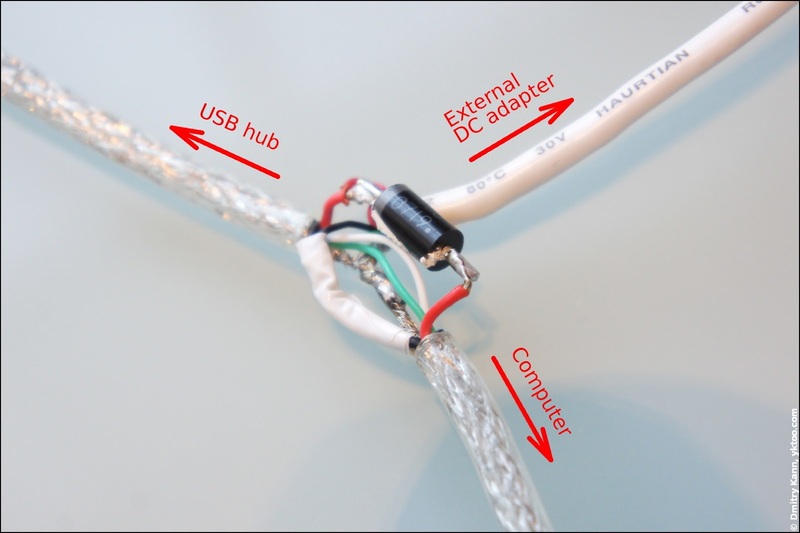 The shields of both cables are interconnected. The whole unit is to be secured with insulating tape. After the alteration the hub works fine with USB-powered hard drives and can charge other devices when the computer is off.